Ghosts, goblins and ghouls will haunt Barona Resort & Casino on Wednesday, October 29 for a Halloween Party Pit! Barona staff invites guests to put their creativity to the test for a Halloween costume contest as they play for a chance to win a share of $5,000 from 6 p.m. until 2 a.m.
Players will do the "Monster Mash" as DJ Tommy spins records for a dance contest and games such as "Name That Tune!" 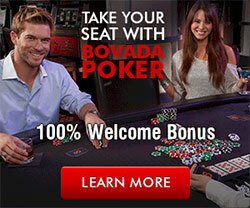 Casino-wide excitement will also include table game action, giveaways and cash-prize contests. Play trivia games on Barona's Facebook page throughout the evening for extra chances at cash prizes! Barona Resort and Casino was recently named Best Casino and Loosest Slots for the 4th year in a row along with 11 other awards in the San Diego's Best U-T Readers Poll awards. Barona has 2,000 slots and video poker machines. Additionally, the casino features over 80 table games including Blackjack, Pai Gow Poker, Barona Craps, EZ Baccarat, Three-Card Poker, Four-Card Poker, Mississippi Stud, Let It Ride, Baccarat and Barona Roulette. Barona also features San Diego's largest Asian gaming pit including popular games such as Sic Bo.